The Annapolis Valley Apple Blossom Festival annually opens Nova Scotia’s tourist season at the end of May and enjoys both national and international recognition. From its creation in 1933 as a tribute to the blossoms of the many apple orchards, traditions and agricultural heritage of the Annapolis Valley, Festival has grown to be a yearly homecoming for families and friends. Our family- friendly and fun events are mostly free to the public and take place in communities throughout the Annapolis Valley. 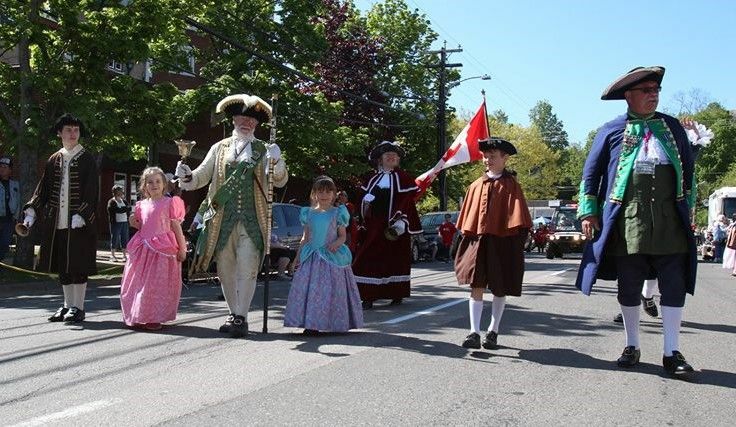 Events vary from the traditional such as the Opening Ceremonies, Valley Tea, the Coronation of Annapolisa from a selection of community Leadership Candidates, Fireworks, Children’s and (giant!) Grand Street Parade to new and exciting events such as Valley Vines and Blossom Brew Night. Please check our website www.appleblossom.com for the latest list and locations of Annapolis Valley Apple Blossom Events...hope to see you there!